The Manny Pacquiao-Lucas Matthysse welterweight scrap is going to be reality. THE RING reported on Tuesday that the fight, which will be contested for Matthysse’s secondary WBA title, was verbally agreed to. On Monday, Golden Boy Promotions CEO Oscar De La Hoya, who promotes Matthysse, announced that the fight is “signed, sealed and delivered” for July 15 in Kuala Lumpur, Malaysia. Chairman and CEO of Golden Boy Promotions. Taking into account the difference in time, the 147-pound bout will be televised live on Saturday, July 14 in the U.S. and will be carried on an ESPN platform. The fight pits two boxers who are advanced in age, but who once were two of the most devastating punchers in the world. 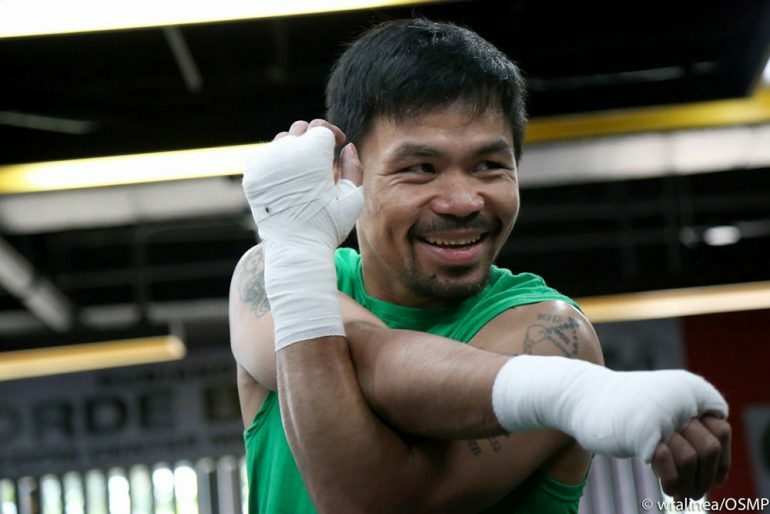 Pacquiao, of course, is a legendary fighter as the only eight-division titleholder in boxing history. Since he became a star, Pacman has competed in Asia several times but never in Malaysia. The Filipino senator was last seen in the ring for a controversial decision loss to Jeff Horn in July. There were talks to bring Pacquiao (59-7-2, 38 knockouts) back on the undercard of Horn-Terence Crawford, the 39-year-old declined and instead will headline his own show against Matthysse. The 35-year-old Argentine scored an eighth-round knockout of Tewa Kiram in January, but Matthysse (39-4, 36 KOs) looked sluggish prior to the finish. Clearly, both fighters are past their best days but they should combine for an exciting matchup of top-10 welterweights. “It’s a great matchup,” Golden Boy Promotions president Eric Gomez told THE RING last month. “You have Matthysse, who’s very aggressive — a big puncher. Manny’s a little bit old now, but still a big puncher, but not as quick as he once was. Half of Manny’s still better than most.